Glass railings can serve multiple aesthetic and pragmatic purposes in many different domains. Depending on the style and colours, they can liven up even the blandest and most demure-looking commercial properties by adding attention-grabbing details that demand admiration from passersby. 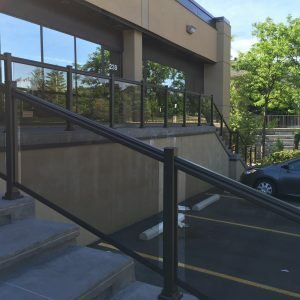 On the other hand, glass railings also add an incomparable level of safety to the interior and exterior of any commercial building. 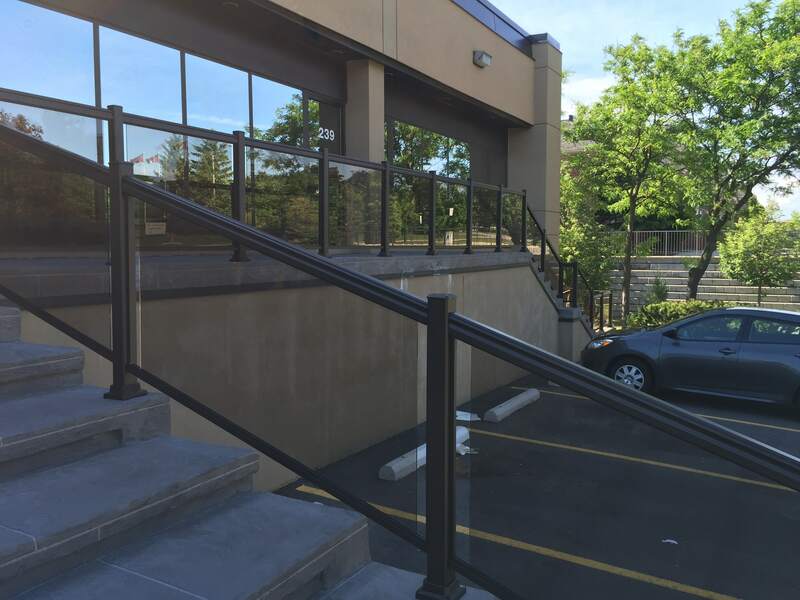 In Toronto, glass railings have significantly increased in popularity over the past few years and have become definitive fixtures within different types of structural designs. They can be seen in various commercial complexes, shopping malls, public and private swimming pool areas, on outdoor restaurant decks, inside and outside of schools, and even in senior citizen living communities. Most commercial buildings garner a sleek and modern design that is unparalleled by their competitors. They want to stand out while at the same time convey a grand sense of professionalism and corporate pride. Glass railings are the perfect solution for achieving this look and striking a strong balance between simplicity, elegance, and unique style. Contemporary glass railings and handrails are useful for both private and public swimming pools. They provide a sense of privacy and protection in people’s backyards so that outsiders cannot easily gain access to the swimming pool. In an outdoor, community pool setting, glass railings give a sense of security because only people within the community centre can use them. In the summertime, there is no better feeling than sitting on a nicely furnished and decorated outdoor restaurant patio, enjoying an ice cold drink and taking pleasure in your surroundings. Most restaurants in Toronto have installed glass railings on their outdoor decks for visual appeal. They want their customers to feel relaxed as they enjoy the sunny weather while still engaging in the hustle and bustle of city life. Stylish glass railings are perfect for enhancing customers’ outdoor dining experiences because, even though they act as barriers between the establishment and the street, customers can stay connected to their surroundings.